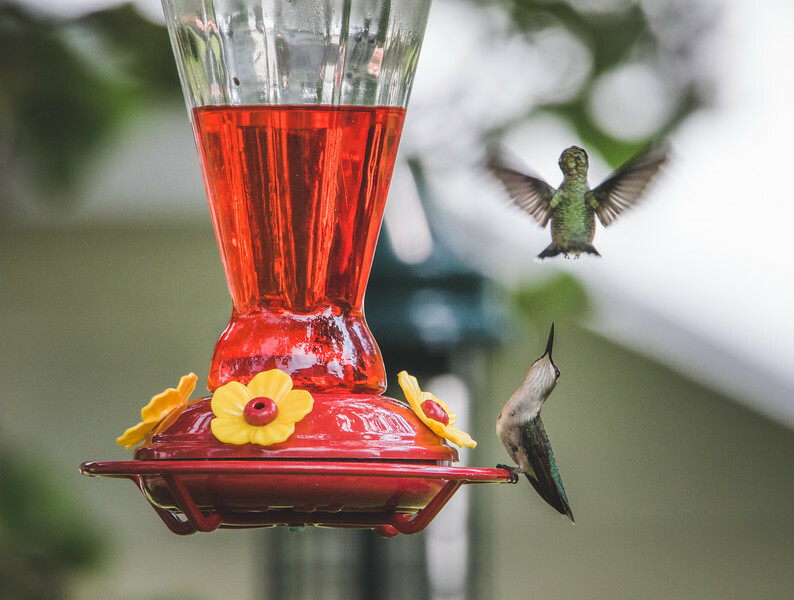 This year I have had more fun with the hummingbirds than ever before. My feeder usually sits full with no takers, but this year fights have been erupting over what is inside of it. 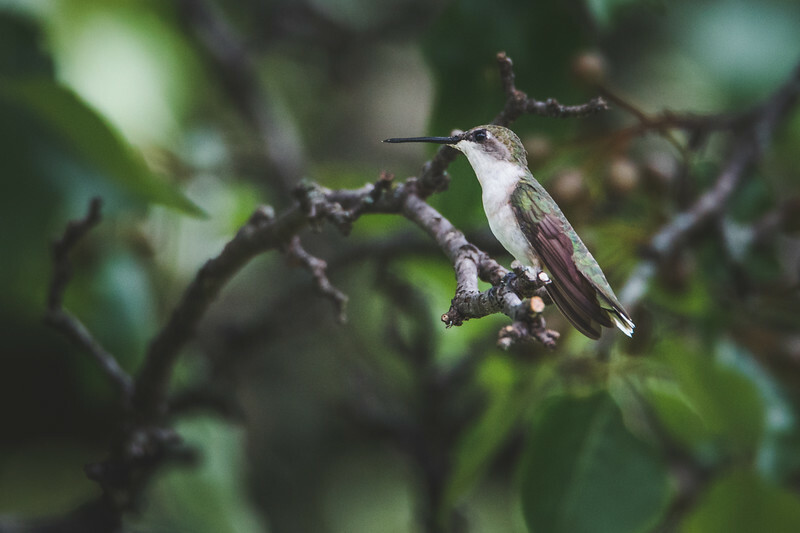 The nearly constant presence of hummingbirds means that the chances that they will do something interesting goes up. I do not like to make photos at the feeder. I would rather show another kind of behavior. Of course after that last couple of sentences I would show a photo at the feeder. I will usually make a feeder photo right at the beginning to double check my exposure and to just get a photo in the can. I rarely post those photos though. I just thought that this was a cool moment. One bird looking up at the other wondering what was going on. It was different from what I am used to seeing so I thought that it was interesting. With the college sports season upon us now, and football just a few days away I am trying to get as much shooting in as possible. 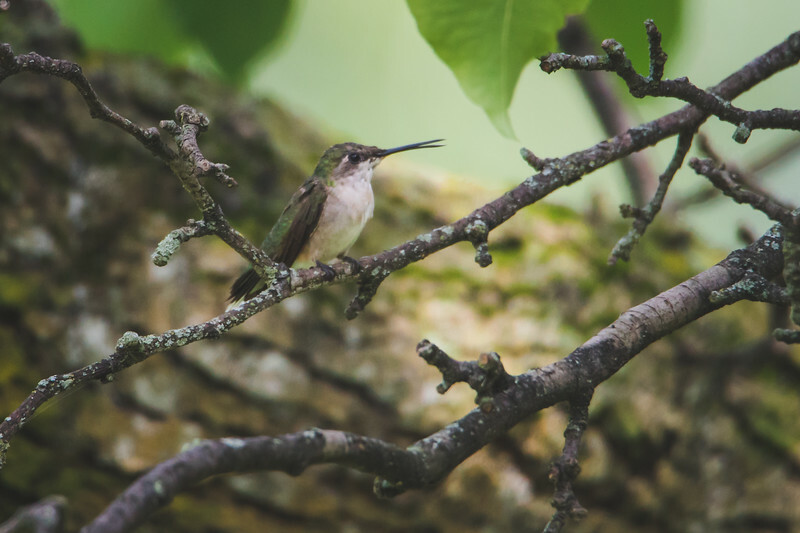 What better way to sharpen up than to make some photos of a tiny hummingbird? If I can track one of these little things and keep it in focus a 200+ pound running back should not be that hard. The level of accuracy needed here is just what I need to try and be as sharp as I can be when the season starts.